How much does stress really affect the body? We all know that it plays its part in depression, heart health and other conditions, but actually it has an enormous effect on our hormones which can affect you in many different ways. Kimberley Gridley, a homeopath, nutritionist, specialises in Natural Hormone Balance for Women, based on functional medicine. Kimberley sees women of all ages, but not surprisingly many of them have faced high levels of stress. Too much stress exhausts the adrenal glands, which provide the adrenaline for the ‘fight and flight mechanism’. Common issues are weight gain, emotional ups and downs, periods and PMT, menopause and hot flushes, fibroids and endometriosis. Many are struggling with lack of energy and tiredness, as well as Chronic Fatigue or Fibromyalgia. In addition to saliva and blood tests to check for hormonal imbalance, Kimberley asks patients about their diet. She also runs a diagnostic test called a heart rate variability test (HRV) which indicates how the hormones are coping, how you burn calories, whether you are struggling with stress levels, and what metabolic type you are. Functional medicine is a personalised approach to healthcare which focuses on why we have disease and getting to the root cause of the problem. Each person is treated as an individual and their particular health issues are addressed. This is in stark contrast to conventional medicine which often treats disease with drugs in a ‘one size fits all’ approach. 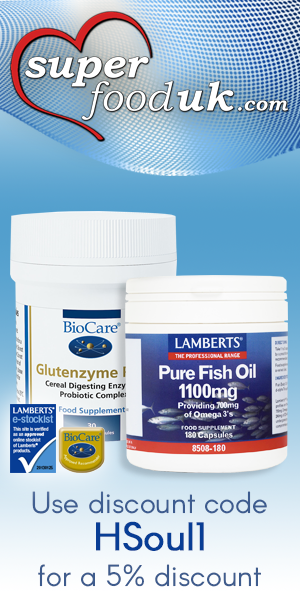 Once Kimberley has all this information she prescribes homeopathic or herbal remedies, vitamins and minerals, and other supplements such as Omega 3s or probiotics. She also draws up a diet that is suited to your type, but is very likely to consist of a lot of vegetables. Kimberley practises at the Nelson’s Pharmacy at 87 Duke Street, London W1K 5PQ, 020 7079 1282, www.nelsonspharmacy.com . 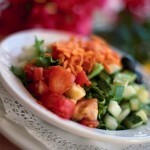 See Kimberley’s website where you can get a free copy of Hormone Balancing Eating Plan: The Low GI Companion e-book. Find out more about functional medicine by watching Dr Mark Hayman on YouTube. It is estimated that there are up to 240,000 people in the UK with M.E (Myalgic Encephalomyelitis). M.E. is a little understood and complicated illness with a variety of different symptoms that aren’t always recognised by doctors. At its worst it is severely debilitating and can result in someone being bed-ridden for years. So far there is no medical solution and people often find themselves left to their own devices. Maura started to have a lot of allergies about six years ago. ‘I was unable to eat so many things that I am now restricted to just 36 foods. I used to get really tired and chemicals gave me a headache or made me sick. I read about the possibility that dental amalgam could make people ill and decided to have my fillings taken out. ‘I had four big ones replaced on one side of my mouth. Two hours after being in the dentist’s chair I started to have a very strange headache and felt nauseous. But that only lasted for the evening and afterwards I felt much better and the chronic fatigue completely went. Radiation underneath the house can rise upwards and be magnified by metal bedsprings. In many cases of chronic fatigue or M.E. people have been found to be sleeping over underground rivers which cause radiation when they cross. The best advice is to move the bed rather than buying all kinds of gadgets to send the rays elsewhere. Some have found that visiting special healers like Seka Nicolic at the Kailash Centre, 020 7722 3939 can improve their M.E. considerably. Few people realise that they are surrounded by electro-magnetic fields all the time in today’s world. Experts like Alf Riggs claim that hairdryers, computers, electronic clocks and toothbrushes and more are affecting our health. In particular the base stations of DECT cordless phones are said to be radiating more emissions than a mobile phone mast and can seriously affect the health of people near them. So if you sleep with a cordless phone base in the bedroom there is every chance that it is affecting your health and anyone with ME should remove them from the house, not just the bedroom and go back to the analogue cordless phones or the old-fashioned fixed line! It is important also to make sure you are not sleeping above computers – so switch off everything at night at the mains and try to eliminate those little red buttons which are also wasting plenty of energy! Anyone with M.E. or CFS would benefit enormously from seeing a nutritional therapist to find out what they are allergic to. Most would recommend having a general detox, giving up wheat and dairy and eating a lot of fresh organic vegetables, brown rice, pulses, seeds and nuts. There have been connections between Candida (the yeast infection) and M.E. and a nutritional therapist would investigate this and apply an appropriate diet alongside herbal antifungals. When someone has a chronic illness it is often a question of trial and error to find out which therapies suit them best so any of the following may be helpful. For more details of each look at Therapies. Wouldn’t the government love to cut the £8.2 billion spent every year on drugs? Wouldn’t it be great if doctors offered you some alternatives – acupuncture for the pains in your joints (instead of drugs), reflexology for your problems with conceiving (instead of fertility drugs), or chiropractic for your bad back (instead of anti-inflammatories), or hypnotherapy for your anxiety (instead of anti-depressants)? Despite the fact that 50 per cent of the British public have tried complementary therapies, there is still a concerted campaign by certain parts of the media and medical establishment to quash them, citing lack of evidence. The public, however, is not so concerned with scientific evidence (provided there are no safety implications, which in the case of gentle therapies there are not) and they just want something that makes them better. Many people are driven to complementary therapies because there of lack of success with conventional treatments. For example, IBS, cystitis, multiple sclerosis, indigestion, headaches, CFS (chronic fatigue syndrome), migraines, eczema, asthma, infertility, back pain, arthritis, anxiety, and so the list goes on, are not always that well resolved with drugs, which tend to suppress symptoms rather than cure them. However, they normally have to pay for them. Lots of people choose to try acupuncture, nutrition, reflexology, homeopathy, chiropractic, hypnotherapy, in addition to their conventional treatments, or some prefer the more natural approach. As the programme The Food Hospital has shown changing your diet can do wonders for your health. And there are no side-effects, so what can you lose? If you try it and it works you’re better, if it doesn’t you haven’t damaged your immune system or encountered unpleasant side-effects. A few enlightened practices offer access to therapies, and acupuncture is quite widely available on the NHS. 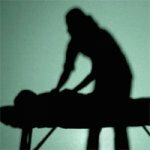 Read our articles: Complementary Therapies on the NHS; NHS provision of complementary therapies: Visionary healthcare.